Summer is always associated with vacations, sun, beautiful summer outfits and the most fun memories in my life. To me, my most amazing summers are summers in Paris with Mr. SF. Mr. SF and I used to visit Paris every summer. Strolling around the city, cute coffee shops, shopping, taking photos are my favorite things to do in Paris. I enjoy dressing up and wearing more romantic pieces in Paris because it is truly the city of Love. 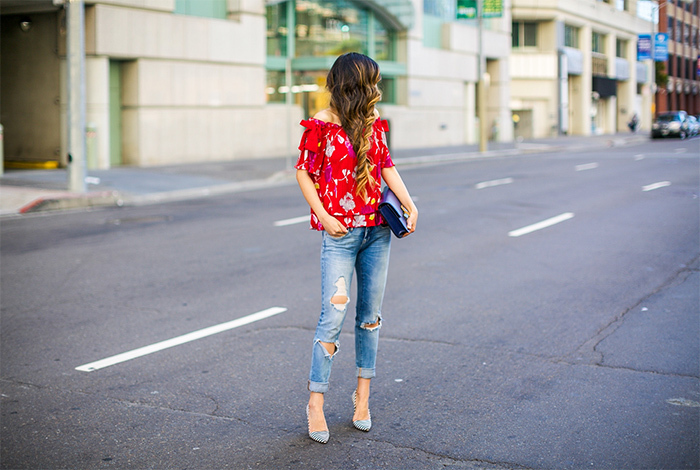 I picked two romantic and sophisticated pieces from Banana's new summer arrival. The cross back and the ruffle hem of the dress are just so magical. This dress makes you want to dance all day long. 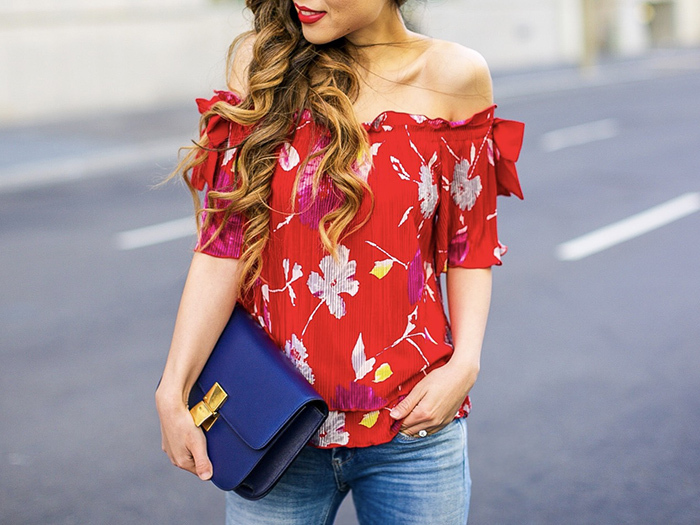 The floral off shoulder top has pretty pleated details to pair with so many different pieces. Banana Republic also has a lot of new beautiful arrivals for summer. You girls should check them out. They are pretty and sophisticated. Now you girls can get 40% off everything with code BRSUMMER, sale ends on May 30th.